Believe it or not there is actually a correct way to cut toenails. With keeping some tips in kind, you can prevent problems with your toenails. -Don't cut your nails too short. There should be at least 1-2mm of the white part of the nail remaining. Don't wait for them to grow too long either; if they are too long, they may break off unevenly, or get caught on your socks or sheets and traumatically tear causing an injury. 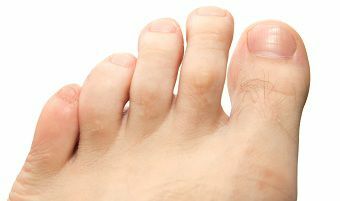 -if your toenails are too thick to cut, if they hurt, or if they are discolored, see your podiatrist! This could indicate a fungal infection, trauma, or an impending nail infection or ingrown nail. Our doctors may suggest a nail biopsy to properly diagnose any underlying cause of your toenail problem. If you have any foot or ankle questions from dermatology to sports medicine, give Prairie Path a call. Our doctors will be able to diagnose your problem and come up with a treatment plan.